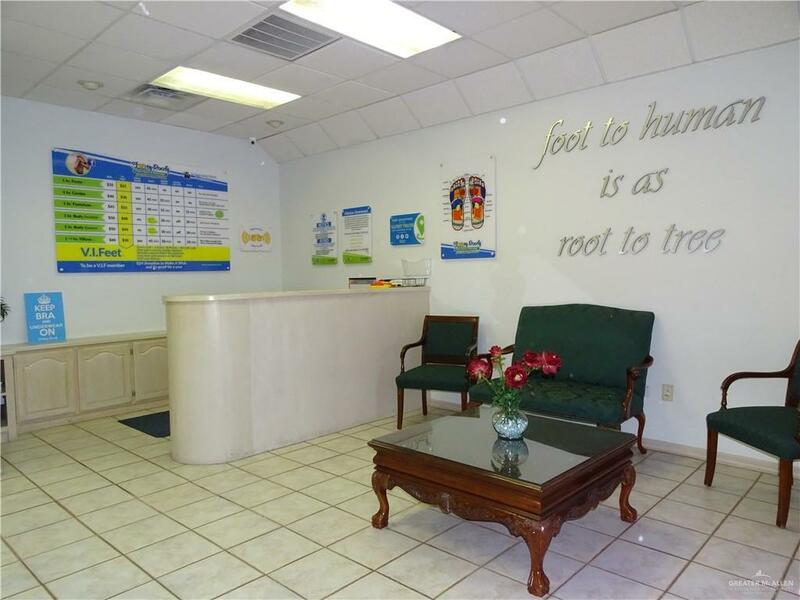 Excellent - PRIME location in the heart of North McAllen. Building in excellent shape & ready for move in. Front suite is leased through May 2019. 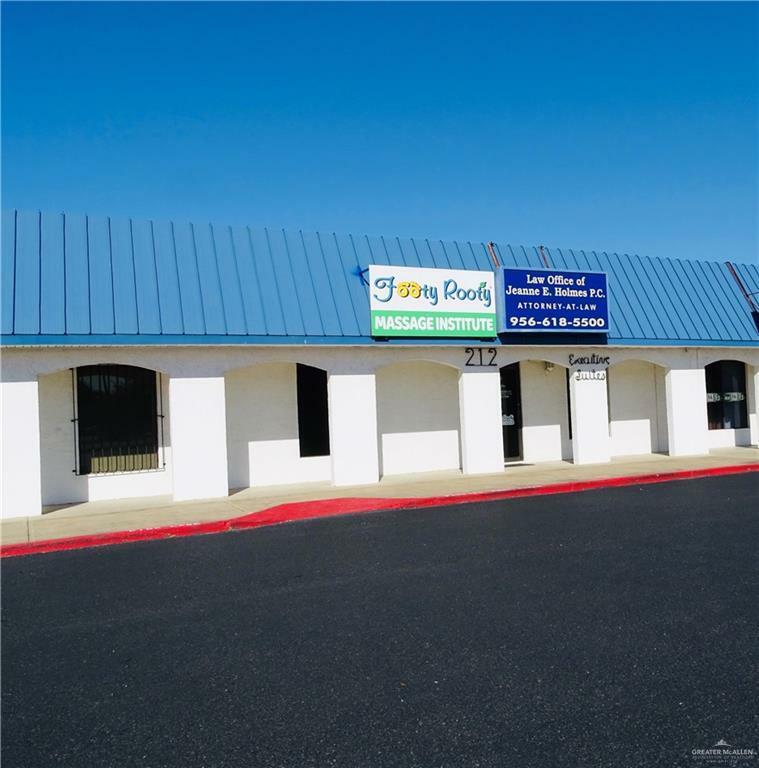 14 foot ceilings w/ 3 conference areas (1 in front & 2 in back) w/ built ins plus executive suites w/ built ins, separate electric meters, large kitchen w/ refrigerator & dishwasher, huge waiting area w/ intake center plus 8 additional offices, private restrooms w/ showers & privacy. Rear entry & parking for 4 vehicles & public front parking. Well maintained facility w/ POA. Large pole sign right off Nolana plus double roof signs, lighted. The larger conference areas may be divided for more office space if desired. 3 New A/C units on roof & Roof replaced 2014. 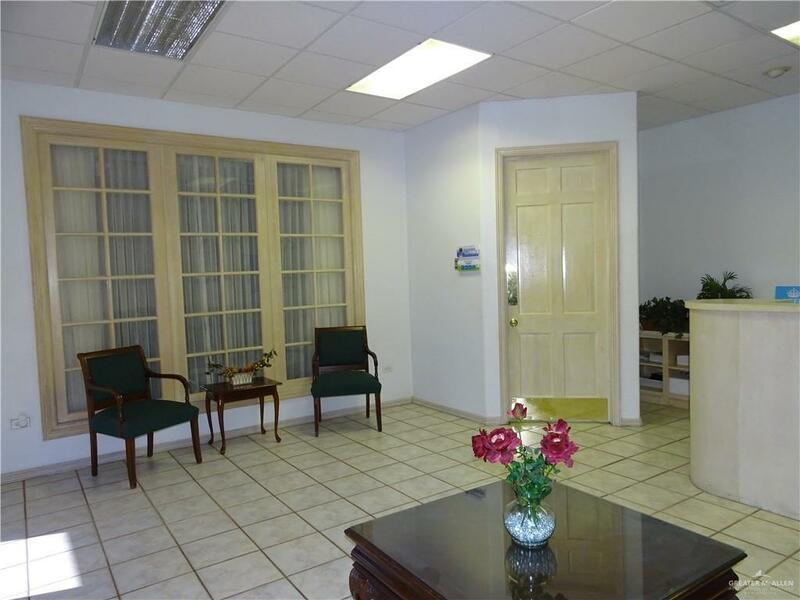 Ready to go as a private office or Investment. Front area is rented for $2000 a month - signed lease on file through May 2019 for front office. Sectioned off so that the area has 2 complete private offices or may be all one business or individual suites. Opportunity!